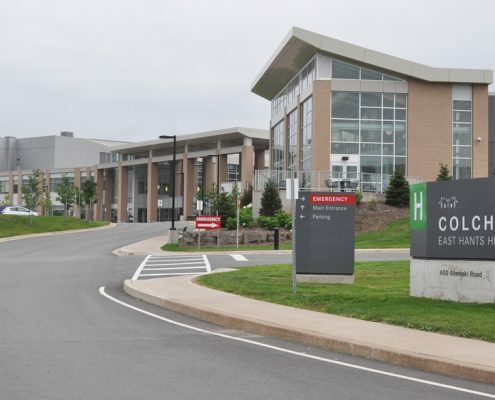 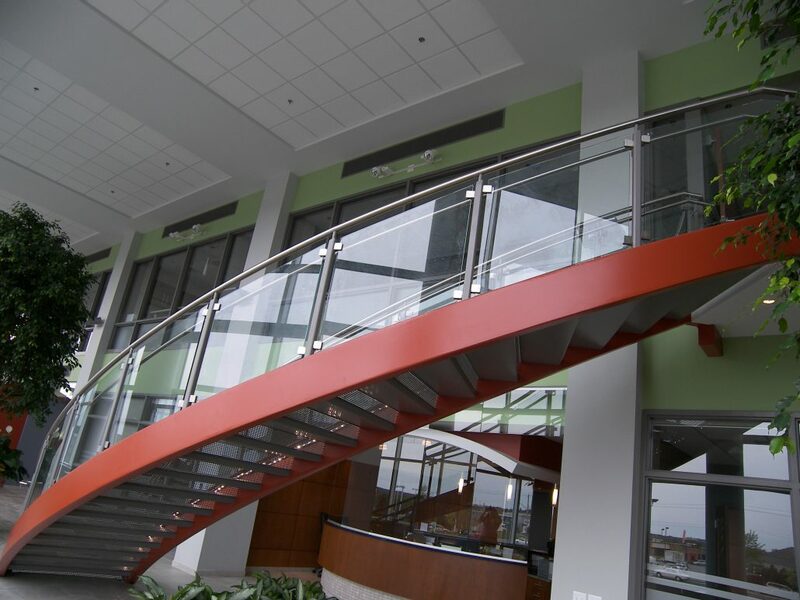 In 2008 Armco completed a class A, five storey 68,000 square feet concrete office building at 84 Chain Lake Drive, Bayers Lake, Halifax. 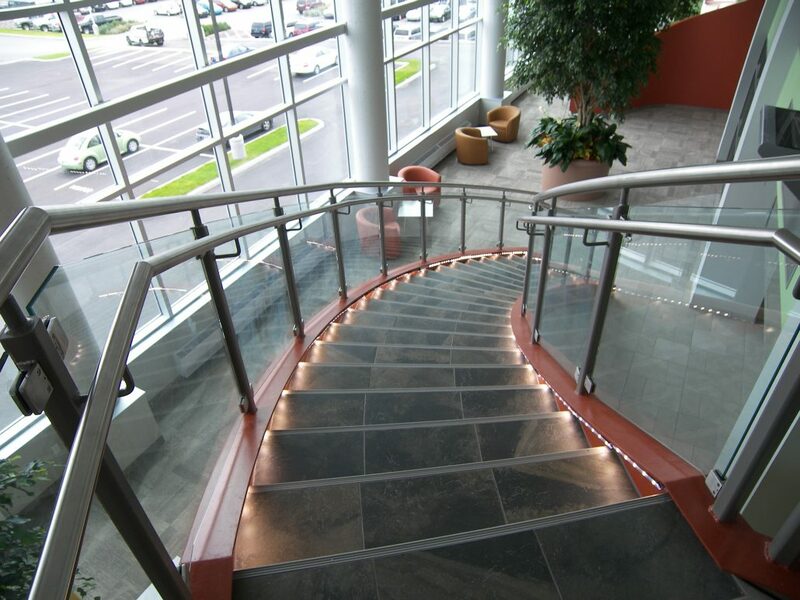 One of the new tenants was Johnson Insurance and they required a feature stair in the lobby to get to the second level of their office space. 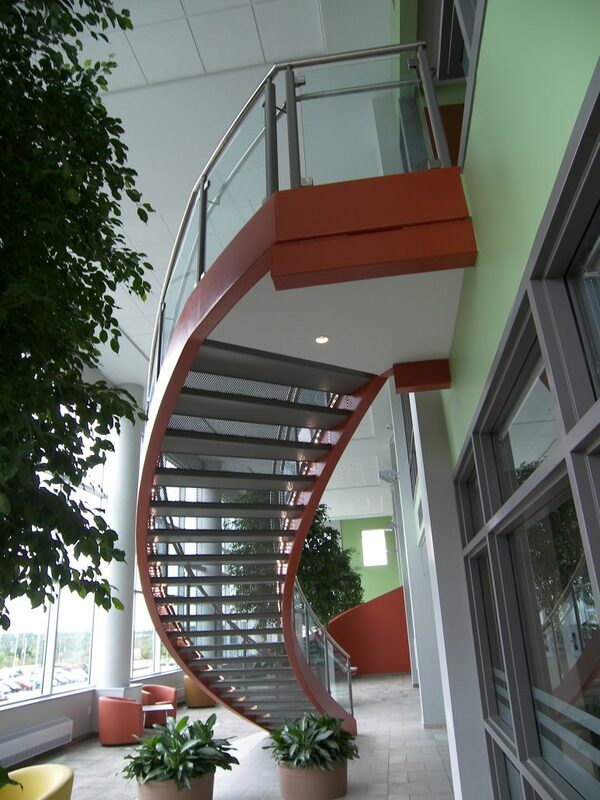 Bird Construction contacted Marid to assist with the design, fabrication and installation of this impressive stair. 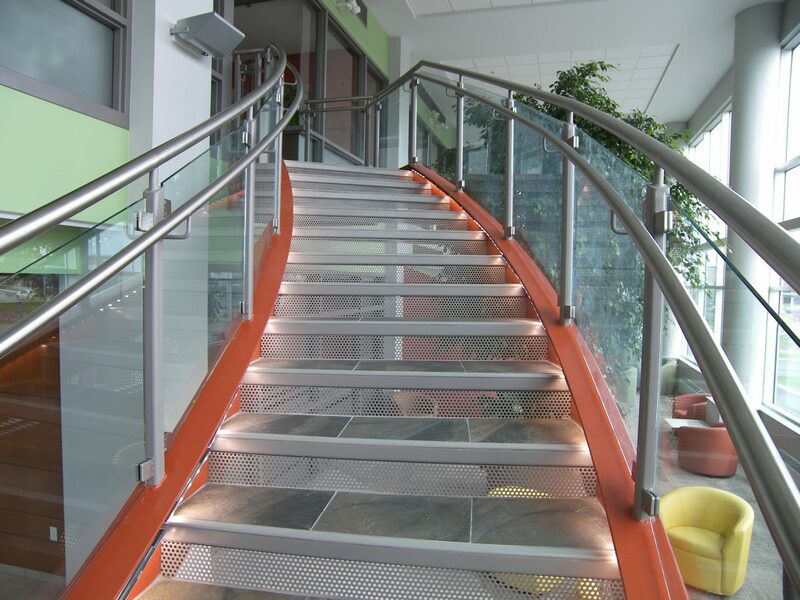 The stair has curved stringers, mesh risers and a stainless and glass railing system. 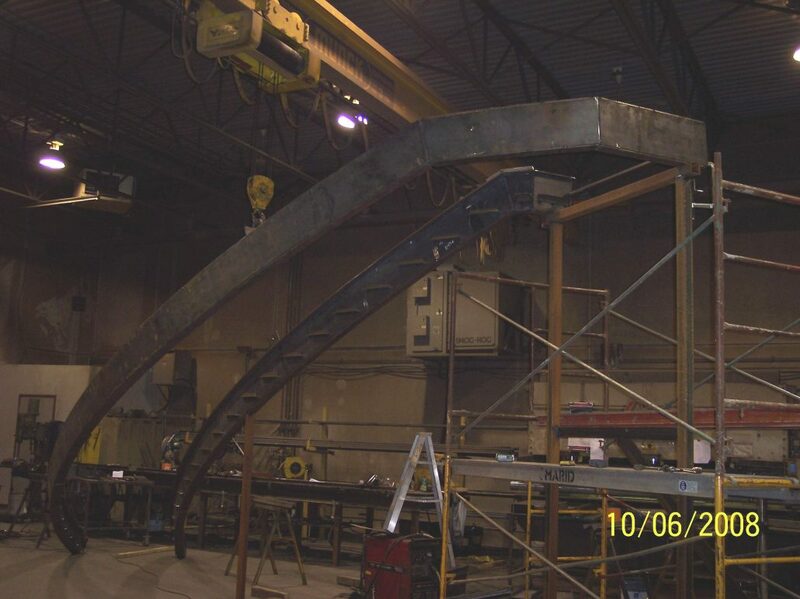 The curved steel stair stringers had to be built from plate to look like HSS tubes; all welds were continuous and ground smooth to provide rounded corners. 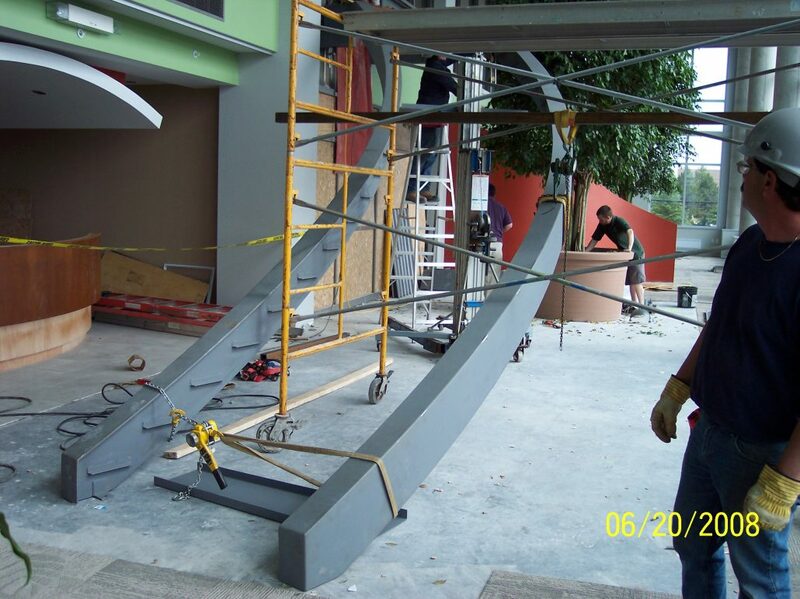 As this was a completed building at the time of installation all material had to be passed into the floor space through a window that was removed, it was a very challenging erection job. 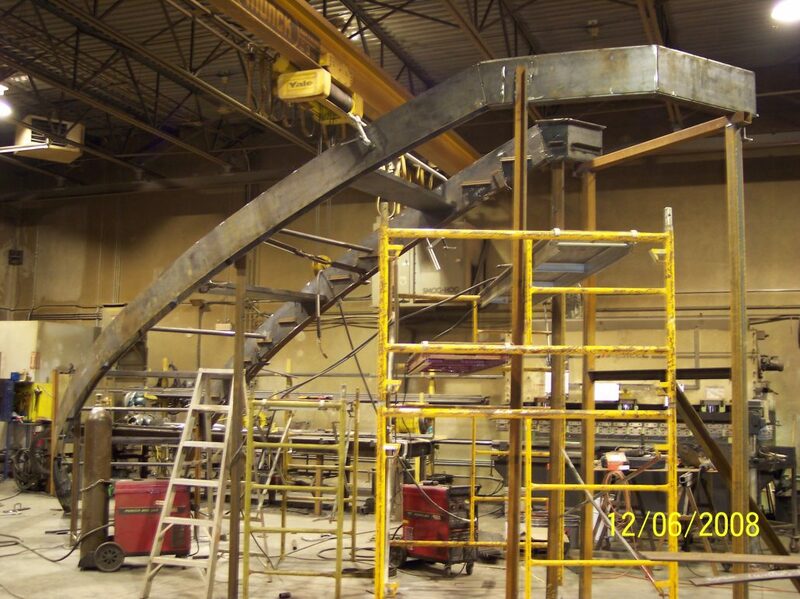 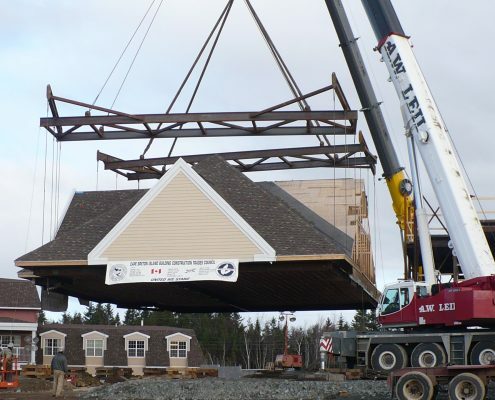 Marid’s detailing, fabrication and erection crews proved again they were up to the challenge and completed a showcase stair that all were proud to have been associated with.